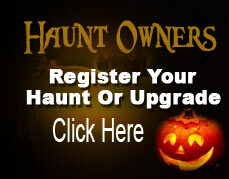 We are proud to be celebrating our 24th year as one of the most visited scare attractions in the East Tennessee area. Our goal is to make sure each and every one of our guests leave satisfied. Whether you dance with our monsters to your favorite songs or just sit around our cozy bonfire, while you wait to go inside, we want you to enjoy every moment you spend with us. Enjoy some of your favorites from our concession stand while you wait to enter our 16 room, self guided tour of The Haunted Barn. Finish your tour with a completely blacked out maze where unknown surprises await. If you are wanting animatronics, then go else where we don't use them because they are a one time scare, and most people never see them in action, we use live actors (64 to be exact) to do the scare. You never know when or where they may pop out. We are open every Friday and Saturday night starting Friday, October 5th - Nov 3rd Tickets ($20.00 per person) go on sale at 7 pm, and the last tickets are sold at midnight. We look forward to scaring you this Halloween season! Take the Ooltewah exit off Interstate 75 (exit 11). Turn Right at the red light onto Lee Highway heading toward Cleveland, cross Ooltewah-Ringgold Road, after the road narrows from four lanes to two lanes, take the first right onto Edgmon Road, cross the railroad tracks, bearing left at the fork, at the first stop sign, turn left onto Tallent Road, at the next stop sign, turn left onto McDonald Road, we are the second drive on left.